Have you ever asked yourself while at work or simply visiting a facility . . . “Who designed this place?” Depending on the accented word, the question may have been the result of a positive experience or made in utter frustration. You may have wanted to compliment the designers for the inspiration you received, or for making your job just a little bit easier or, on the other hand, maybe you just wanted to vent. Your feedback – positive or negative – may have been useful information in a Post Occupancy Evaluation (POE). Although there is no industry-wide definition for a Post Occupancy Evaluation it is commonly considered a rigorous and systematic assessment of a building’s performance from the users’ perspective. The scope of a Post Occupancy Evaluation can be as broad or narrow as required by the stakeholders. The stakeholder might be an owner, patient, staff member, engineer, architect, or contractor. A Post Occupancy Evaluation provides feedback on how successful the workplace is supporting the organizational and individual end-users’ needs. Typically we think of a Post Occupancy Evaluation as a task that occurs after the users have had a chance to “kick the tires” a bit. Evidence Based Design standards recommends 6 to 12 months after occupancy. In reality, a Post Occupancy Evaluation can be performed at any time during a building’s life cycle but waiting at least 6 months assures that the “kinks” have been worked out and allows the staff to develop new routines or processes. Staff turnover from onset of design to project completion. On average fifty percent of the participants who started the project, at conception, are not the people who occupy. This can often produce unexpected end user feedback. Discerning the difference and subtleties between universal design feedback and facility specific feedback. The “It’s just how they like to do it.” culture trumps all. The interviewer needs to know the design of the specific site and the universal healthcare practices well enough to accurately categorize issues specific to the users success and failure, and issues that may be applied to any design. Confusion of issues resulting from the actual construction. Feedback is delivered from the user’s perspective. Users do not typically have the knowledge or experience to separate issues that were a result of design decision making, construction limitations, or perhaps a change in construction made by an administrative decision during construction. A Post Occupancy Evaluation is about learning from successes, mistakes, and, quite often, assumptions. All parties that participated in the design, construction and evaluation process benefit from the feedback. They gain insight to help better deliver healthy, comfortable and efficient buildings – spaces that help increase productivity and meet or exceed expectations. Jeri Steele does healthcare research and design at Stantec in Butler, Pennsylvania. 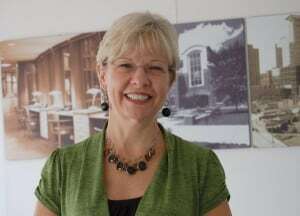 Jeri can be reached at jeri.steele@stantec.com. 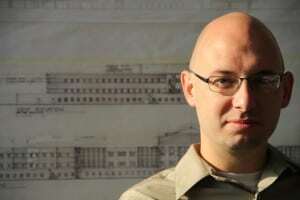 Nathan Werner is a registered architect at Stantec in Butler, Pennsylvania. Nathan can be reached at nathan.werner @stantec.com.